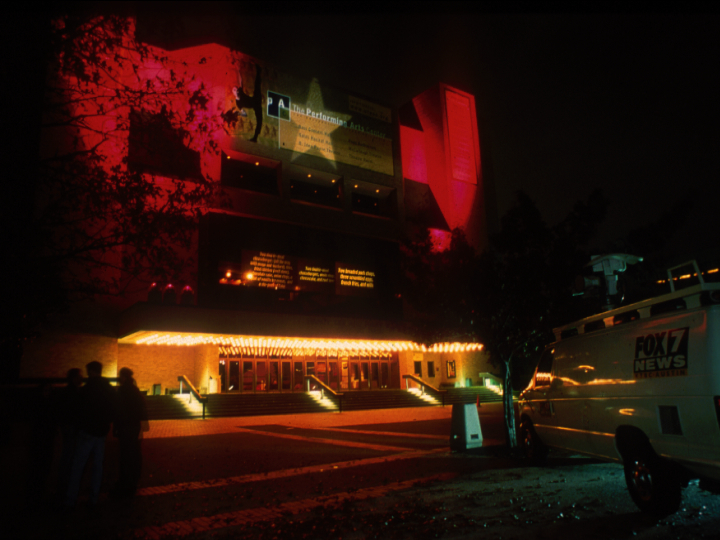 Final meal requests of 232 executed prisoners were projected onto the front of a large concert hall in Austin, Texas. Texas Takeout combined a physical space (façade of the premiere performing arts venue in Austin, Texas) and relics of a significant event (final meal requests of 223 executed prisoners as published on a state-sponsored website). 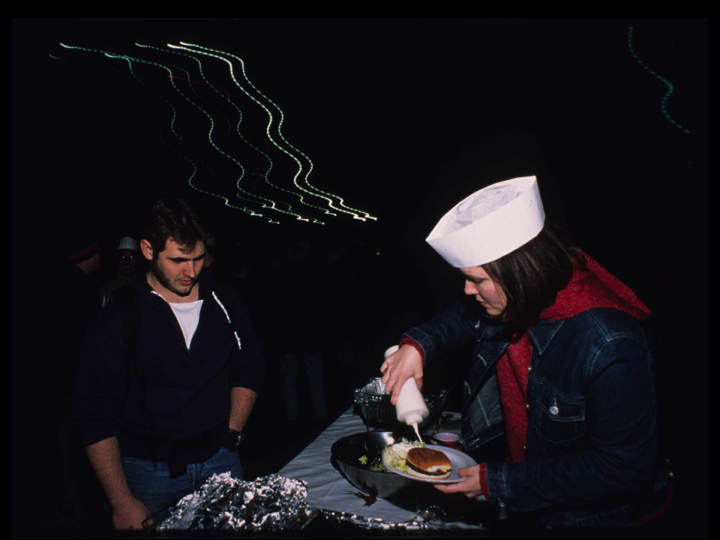 Food from the final meals was served at the event and functioned to establish a direct physical connection between the viewer and the information. By transforming the information from virtual to physical presence in the capital of the state leading the world in number of executions, I hoped to highlight state-sponsored execution as the spectacle it often is and to connect viewers to the intensely personal drama behind each meal. The work coincided with the night Texas broke its own record for number of executions in a single year.